To ensure longevity of your equipment, effective cleaning is essential. 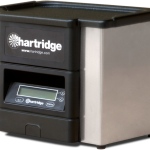 The ultrasonic cleaning process depends on the rapid formation and violent collapse of minute bubbles in the cleaning fluid. The parts to be cleaned are placed in the wire container which is inserted in the tank full of cleaning fluid. High intensity sound waves are introduced into the fluid to produce the bubbles which form around the components and remove the dirt from the surface. 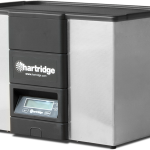 Manufactured in the UK, Hartridge’s new range of stainless steel tanks supersedes our previous models offering a greater range of sizes. Removes gases normally present in the tap water used to dilute the cleaning fluid. Automatically varies the frequency to maximise the cleaning action. 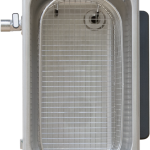 Wire basket/tank cover included as standard. Built in timer up to 60 minutes. Can clean components without disassembly. Ideal for cleaning injector nozzles. Rapid cleaning 1 to 3 minutes and cleans dirt from difficult to reach crevices. Good at shifting stubborn carbon deposits giving consistent cleaning results.